Last year, I was staring down a pile of cherries and wishing that I owned a cherry pitter. After making a gigantic mess and spending a ridiculous amount of time pitting them with a paring knife, I decided to buy one before the next year. I was lucky enough to borrow one from a friend in the meantime and while it did an awesome job of pitting the cherries, it sprayed cherry juice all over us and the kitchen counters. After looking around online for different cherry pitter options, I found this link with instructions for making your own homemade cherry pitter. You know I had to try it. For $.10 and a used fork from goodwill, I have my own awesome cherry pitter that works better than any of the other cherry pitters I have tried in the past. It took me less than a minute to make the pitter. The only tool required is a small pair of pliers. 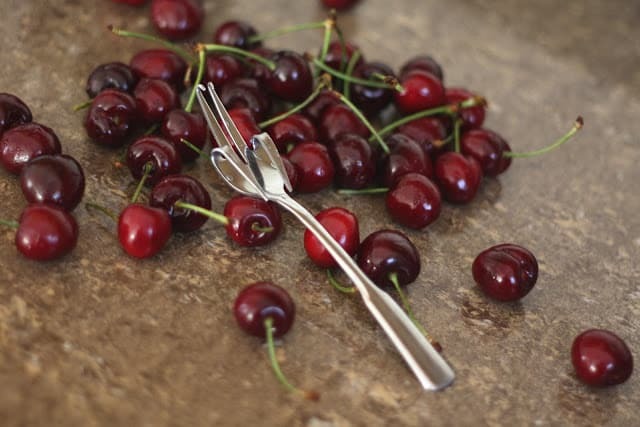 Simply bend the tines of the fork as pictured and you’ll have your own homemade cherry pitter. It is incredibly easy to use as well. The learning curve was just a few cherries and then it is a very quick process to pit the cherries. 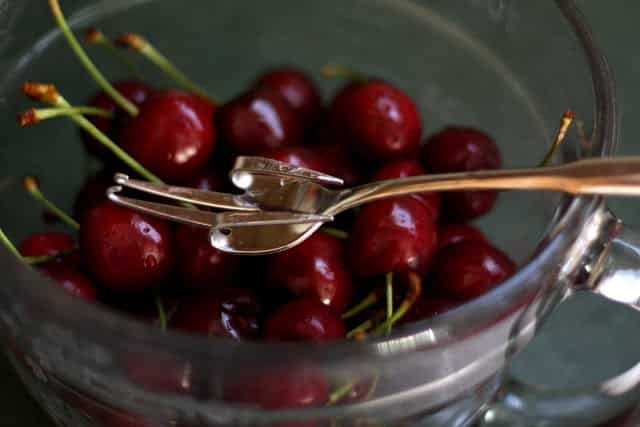 You simply hook the tip of the fork into the top or bottom of the cherry and pressing your thumb against the cherry, slide the pit out with the cherry pitter. A picture using pitter in the process would be helpful. I pitted quite a few cherries this summer. I used a straw and it works great. i prefer to pit them with my teeth. So yeah, i am saving $.10, woohoo!